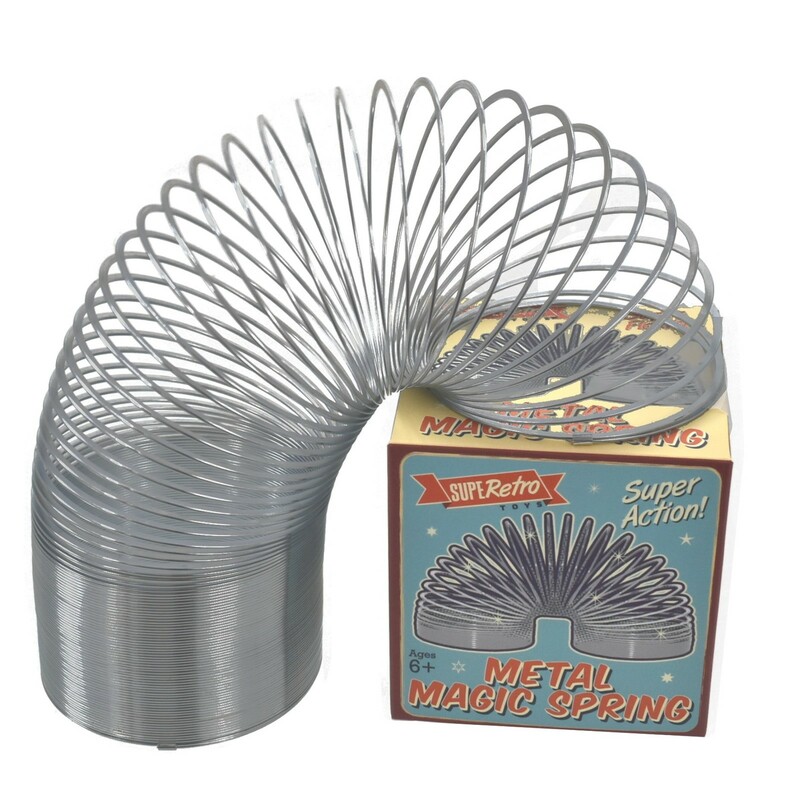 This original Retro Metal Magic Spring is the world famous kids toy and has moves similar to the original Slinky! Watch the colours run as your Retro Magic Spring climbs down the stairs, tumbles over, jumps, jiggles & flips! Kids will have hours of fun playing with this classic toy as they watch it walk down stairs, stretch and snapback. This children's sized metal magic spring is super flexible and retro syled. The original Retro Magic Spring is the Classic Old School Gadget that adults and kids will adore.